John is a 60-year-old man who was the victim of a motor vehicle accident in 1996 that left him with multiple injuries, including skull, vertebral and other bone fractures. He was hospitalized for several weeks and basically had his entire face rebuilt and rods placed in his back, while other bones were screwed back together. Needless to say, John experienced severe pain, and—also needless to say—because it was 1996, he was treated with the vast spectrum of pharmaceutical aids including hydrocodone, oxycodone, and hydromorphone. John, who had never had a problem with substance abuse or addiction, became physically dependent on opioids to manage his pain. He never lost or lent his medication. He faithfully went to his doctor—his own family internist—who gladly filled John’s prescriptions. They had enjoyed years of knowing each other, and his doctor also was his wife’s physician. To stay in compliance, his doctor’s office would occasionally request a Urine Drug Screen, but these were infrequent and there were never any ‘surprises’ or illegal substances found. Last year John’s doctor told him that he would probably not be prescribing his pain medications in the near future, but not to worry, the office would help him find a pain management specialist in the area. At that point, this news was more of an inconvenience and just a little worrisome. Plus, he knew and liked the office staff and his monthly routine was well established. It was a little frightening to anticipate turning all this over to a new practice: one glitch, one late prescription was--well--terrifying. John knew the horrors of withdrawal. He had experienced it only once since beginning pain management, when he forgot to pack his medications and left for vacation. It never happened again. John was unaware that this trend was happening all over the United States. As the massive body of the Opioid Epidemic-iceberg was being appreciated, urgent steps were being taken by the government to attempt to put a dent in the unanticipated consequences of years of overprescribing addictive pain medications. The CDC developed and published the CDC Guideline for Prescribing Opioids for Chronic Pain, providing recommendations targeted to primary care providers. The recommendations focused on treating chronic pain (pain lasting longer than 3 months or past the time of normal tissue healing) outside of active cancer treatment, palliative care, and end-of-life care. The new guidelines included lower dosage recommendations, since evidence showed that even relatively low doses of morphine milligram equivalents can increase a patient’s risk of overdose. This document also shifted focus to not only “high risk” patients, but also to all patients on opiate medications. They placed more emphasis on checking state prescription drug monitoring programs and having impeccable and thorough notes on all patients receiving treatment. They also added specific recommendations on discontinuing opioids when risks and harms outweighed benefits. Many doctors were found to be non-compliant with the new regulations, and many lost their privileges to prescribe opioids. Primary care offices around the country were making the decision to leave the business of pain management to specialists who were well set up to deal with the more stringent regulations. John’s office made several attempts to connect him with a pain management practice, but to their surprise, even if he was able to make it to the 5 month waiting period, this office did not accept patients who were on the doses of medication that John was taking. By this time, he was on a total of 180mg of oxycodone daily; some was extended release and some was short-acting for break-through pain. 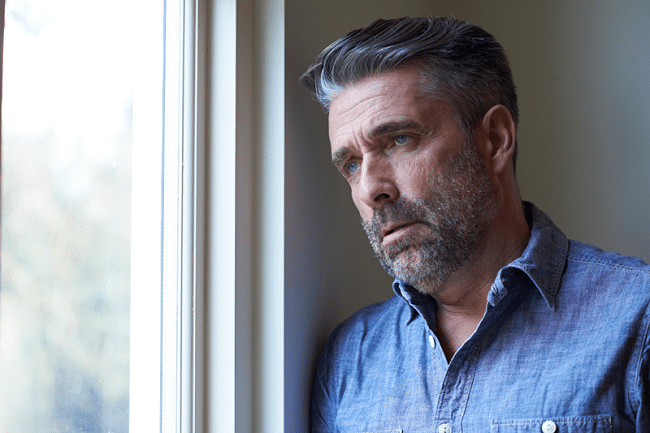 Several other inquiries were made on John’s behalf, but he finally had to face the reality that what he had believed and counted on for years, that his right to pain management, was apparently no longer true. This is when John –reluctantly—contacted the Coleman Institute. With fear and resentment, he signed on for a 4 day Accelerated Outpatient Detox. This was eight months ago. He went on to describe that his post-accident life had revolved around when the next dose of medication was due, trying desperately to cut back or go just a little longer. He was in a perpetual state of taking the meds and then experiencing the physical need for it. He dreaded severe weather conditions that might prevent him from being able to get his medication. He grew to hate going into the pharmacy to get his prescription, feeling judged and labeled as an ‘addict’, then worrying someone might be following him to his car to rob him. “How is his pain?” I asked, but I was pretty sure I knew what the answer would be, based on my ten years of working with patients like John. If you are physically dependent on your pain medications and concerned about being abruptly or eventually cut-off, give us a call. There are a lot of people out there who are taking this leap. You, too, may be amazed at the taste of freedom like that which John enjoys.